Well by now you know how much of a fan I am of Booja Booja Ice Cream well I just wanted to update on the latest flavour I have tried. 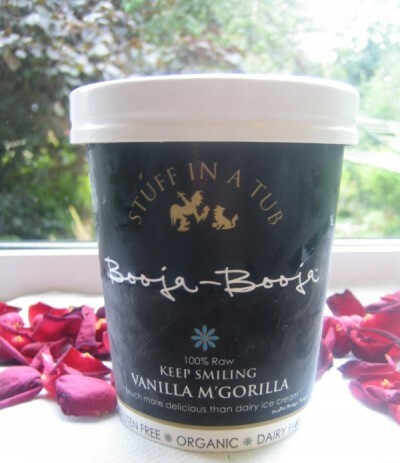 Aptly named Booja-Booja Keep Smiling Vanilla M’Gorilla – really will keep you smiling. If you are looking for a dairy and sugar free treat you really wont belive how good this stuff tastes – heaven in a tub!